Good morning from Augusta, where the primary election is over but many of the results remain unclear. Good morning from Augusta, where the primary election is over but many of the results remain unclear. In addition to a number of legislative primaries in limbo because some municipal election clerks have not yet reported their results, Democrats will have to wait for news on their nominees to run for governor and the 2nd Congressional District. 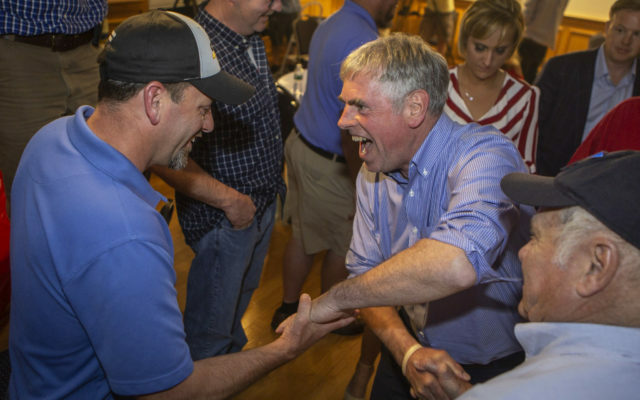 Meanwhile, Republican Shawn Moody marched to an easy victory over three rivals and is in general election mode while the Democrats wait for the ranked-choice voting tallies. It was a strange, groundbreaking night in Maine’s political universe. Here are a few quirks, oddities and observations from your bleary-eyed Daily Brief team. An attorney who is suspended from practicing law won his primary to to run for district attorney in Franklin, Androscoggin and Oxford counties. Attorney Seth Carey, whose law license is currently under suspension because of sexual abuse allegations against him that led the Maine Republican Party to denounce him, defeated former Assistant Maine House Majority Leader Alexander Willette in the Republican primary and will face off against District Attorney Andrew Robinson, a Democrat. Complete voting results in the district have not yet been reported but Willette conceded the nomination in social media posts early Wednesday. Carey’s campaign slogan was “Build. That. Wall.” We are unsure to which wall in his jurisdiction he refers, but the town of Mexico is in it. The Fiddlehead Focus/St. John Valley Times is pleased to feature content from our sister company, Bangor Daily News. To read the rest of “Picking up the pieces after a strange Election Day in Maine,” an article by contributing Bangor Daily News staff writer Christopher Cousins, please follow this link to the BDN online.